Will it pounce on the iPhone 5? 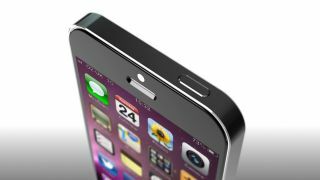 Gunning for the iPhone 5? Samsung could have the last laugh in its ongoing dispute with Apple. According to a report from the Korea Times, Samsung execs plan to sue Apple "immediately" if it ever releases any devices with advanced long-term evolution (LTE) mobile technology. Samsung holds just over 12 percent of the world's LTE patents, according to data from Thomson-Reuters, while Nokia leads the charge with 18.9 percent. Qualcomm follows with 12.5 percent and Ericsson has 11.6 percent. Apple already has an LTE device on the market - the iPad 3 - but observers think Samsung could be waiting for the Cupertino company to release an LTE-capable iPhone before making its move. All signs point to Apple's next iPhone, the iPhone 5, having LTE capability, making it the perfect target for Samsung's wrath. The iOS-wielding Apple has even been in talks with Korean carriers about putting the next-gen iPhone on 4G LTE networks. Samsung would hit Apple where it hurts with an injunction on an LTE iPhone 5, expected to be one of Apple's most successful devices to date. Thanks to a guilty verdict in a patent trial between the two, Apple has asked that eight Samsung smartphones, including the Galaxy S2, be banned from sale in the U.S. There's also a pre-trial order to ban a Samsung tablet - the Galaxy Note 10.1 - on the books as well. Though it's unclear just how much Samsung will lose in sales from the ban on nine of its products, having to pay $1.05 billion (£665) in damages to Apple would certainly put a dent in its pocket books. An LTE suit - or at least the threat of one - may be just what Samsung needs to get its mojo back.